One of the most unique dining spots in the state. 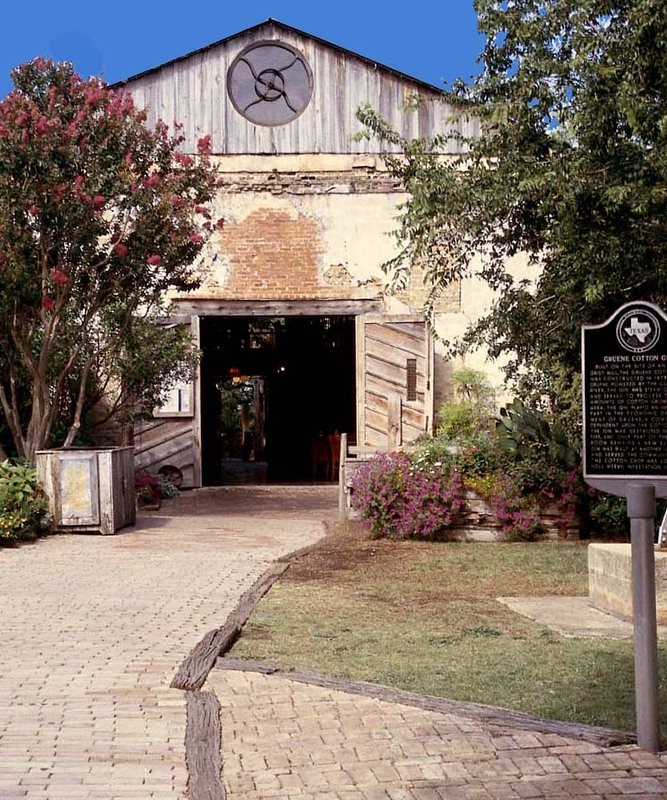 In the ruins of an authentic 135 year old cotton gin overlooking the scenic Guadalupe River and just behind Gruene Hall, this Texas original offers nine dining areas with native stone fireplaces, lush surroundings and sweeping views of the river. The Gristmill serves a wide range of menu items including juicy burgers and steaks, tender chicken and fish, refreshing salads and scrumptious desserts – not to mention a full bar with a great wine list and fresh-squeezed lime margaritas. Open daily since 1977. Original food. Cool bar. 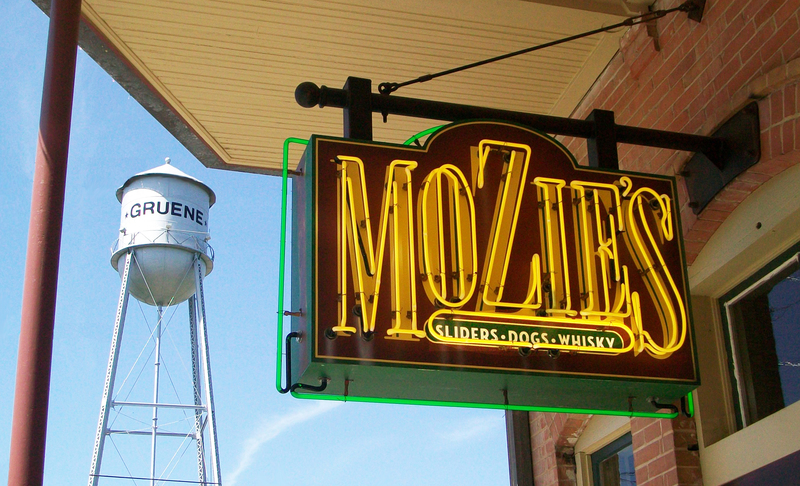 Mozie’s features a full bar with premium well liquors, select wines & specialty beers and an all day menu of favorite American classics. Sports TVs and air conditioning! Fashioned after a south Texas ice house. Find a wide range of enchiladas, sizzling fajitas, delicious tacos and specialty Texas burgers. 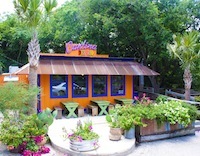 Enjoy the best margaritas in town on the beautiful deck or in a cozy dining room.